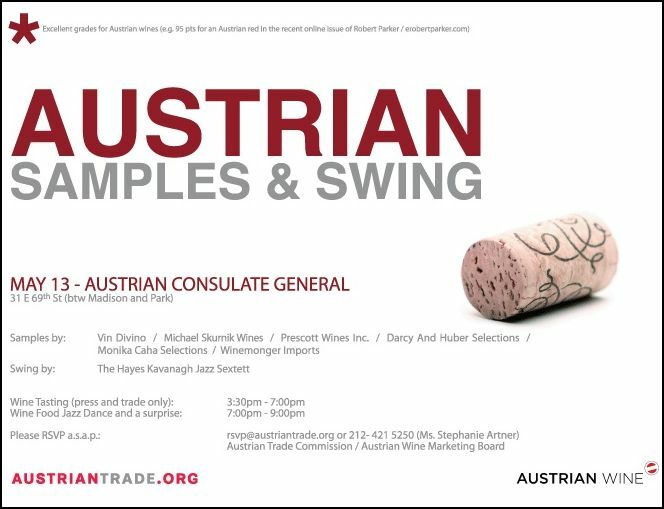 On Thursday, May 13th my boss Steve Raye and I headed back to New York for the “Austrian Samples & Swing” party at the Austrian Consulate General on East 69th street in Manhattan. Prior to the event we needed to make a stop at MHW, Ltd. in Manhasset, NY. MHW, Ltd. is an importer and distributor of wine, beer, and spirits. We were there picking up several cases of Oval Vodka, which is a luxury vodka from Austria. Since we had a bit of time to spare before our pick-up we stopped in at Young’s Fine Wines & Spirits, which was just down the street. 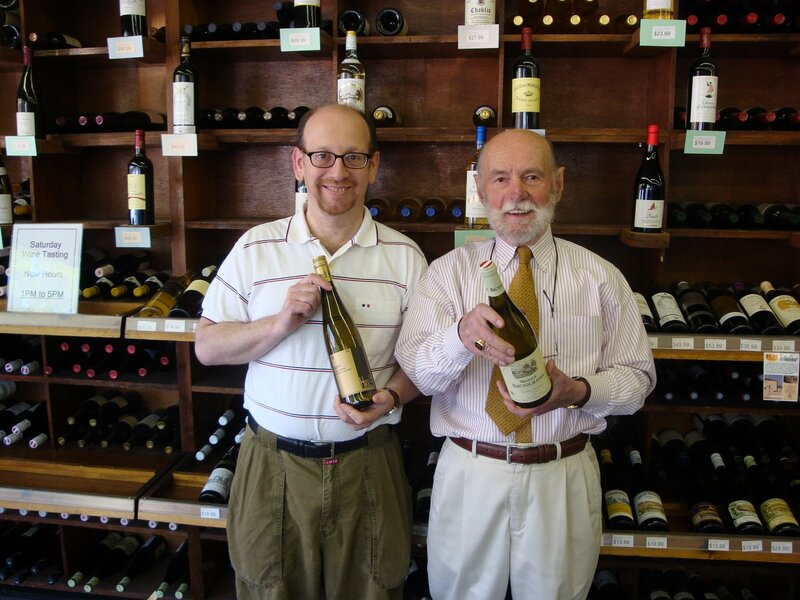 We introduced ourselves to two staff members, Robbie Sandor and Brad Haskel, of this gigantic, yet personal wine shop. Robbie is an incredibly nice, older gentleman who once worked on his Grandfather’s vineyard in his native Hungary. Later, he worked in the international airline industry, and traveled to many different wine regions. Brad is a certified Sommelier and extremely knowledgeable about wine. He conducts wine tastings and teaches wine education classes at the store. You can read more about his wine consulting business here. 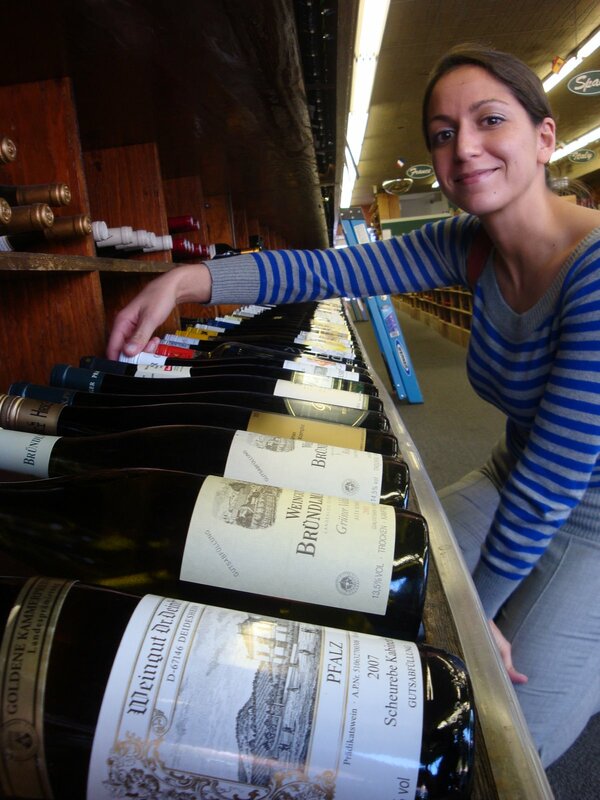 Here I am looking through their impressive selection of Austrian wines. Here are Brad (on the left) and Robbie. They were both great hosts and tour guides. 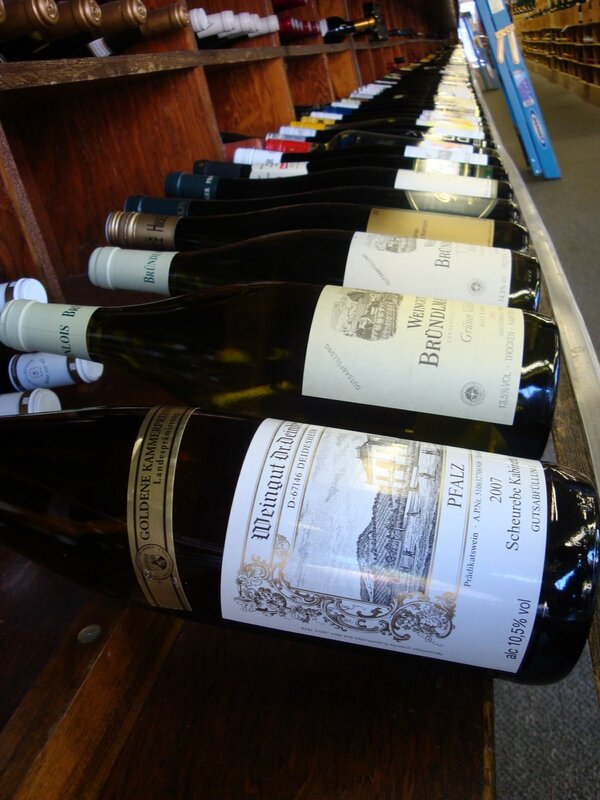 And here’s a cool shot of the Austrian wines available for purchase. It’s the largest collection I’ve seen in a retail store to date. Later we drove into Manhattan for the “Austrian Samples & Swing” event, arriving at about 6 o’clock. Here I am with my acquaintance Laura, who is half-German and half-Argentinian. She is an aspiring wine maker. 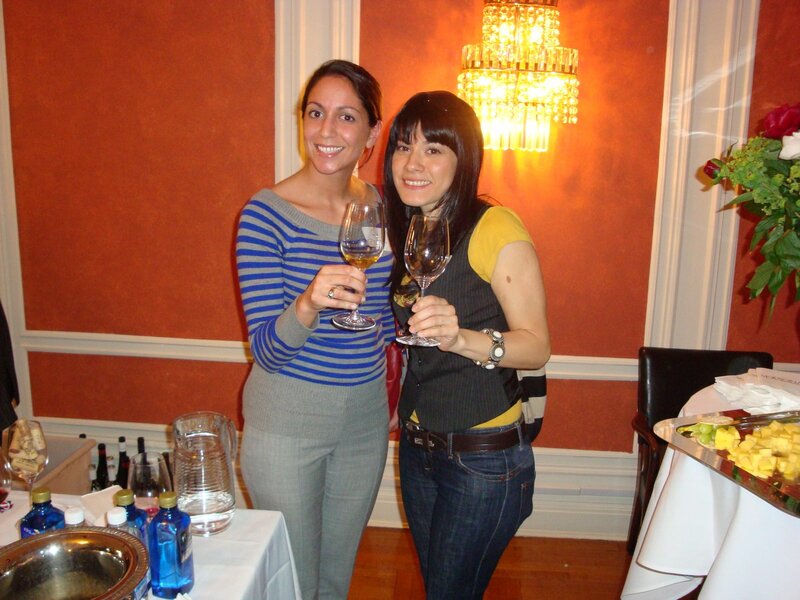 I met Laura about a month ago at the Darcy & Huber portfolio wine tasting. She’s super nice and is doing masterful job at learning the English language. As an aside, why are non-Americans usually so hip looking? The event had a huge attendance, as you can see below. 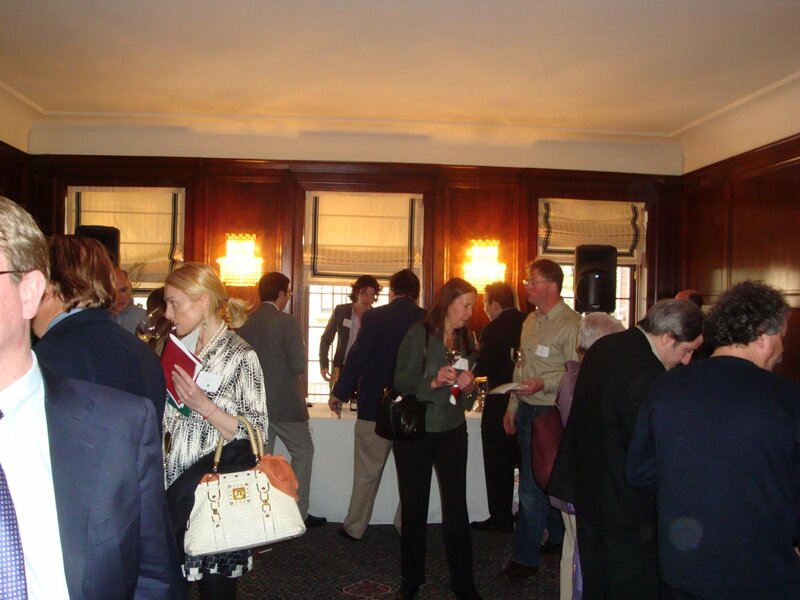 There were wine critics, authors, journalists, restauranteurs, and more in tow. 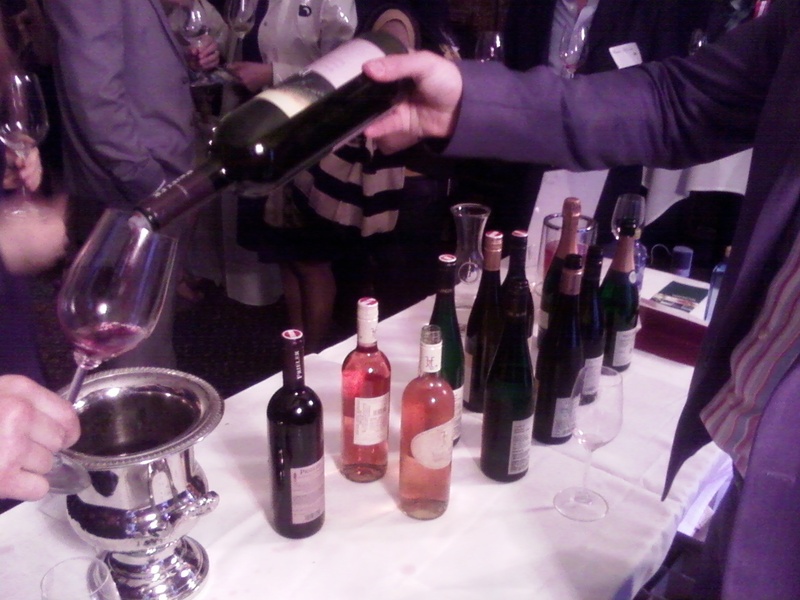 Below is the view from the Winemonger Imports table. The Winemonger site has a blog and you can purchase their wines, they specialize in Austrian wines, from the site. I tasted their Manfred Weiss, Grüner Veltliner Eiswein ‘Fahrenheit 19’ 2005. Eiswein means “ice wine,” which is a type of dessert wine produced from grapes that have been frozen while still on the vine. The Manfred was sweet and refreshing. And below is the view from the Michael Skurnik Wines table. Pouring the wine is their brand manager Jeremy Schwartz. There I tried my first Austrian rosé, Hofer’s 2008 Zweigelt Rosé. I’d like to buy this wine to share with others as soon as possible. It’s a lovely, summer wine. The other wine importers at the event were Darcy & Huber Selections, Monika Caha Selections, Inc., Prescott Wines, Inc., and Vin Divino, Ltd. Monika Caha Selections were just mentioned in a Slate article about wine importers you can count on. Read more about it here. At Vin Divino’s table I was able to try Kracher’s 2007 Pinot Gris Illmitz, which was quite good, but my heart is still stuck on one day tasting a Kracher dessert wine. I’ll schedule that during my trip to Austria this June! Overall, it was an exciting day. 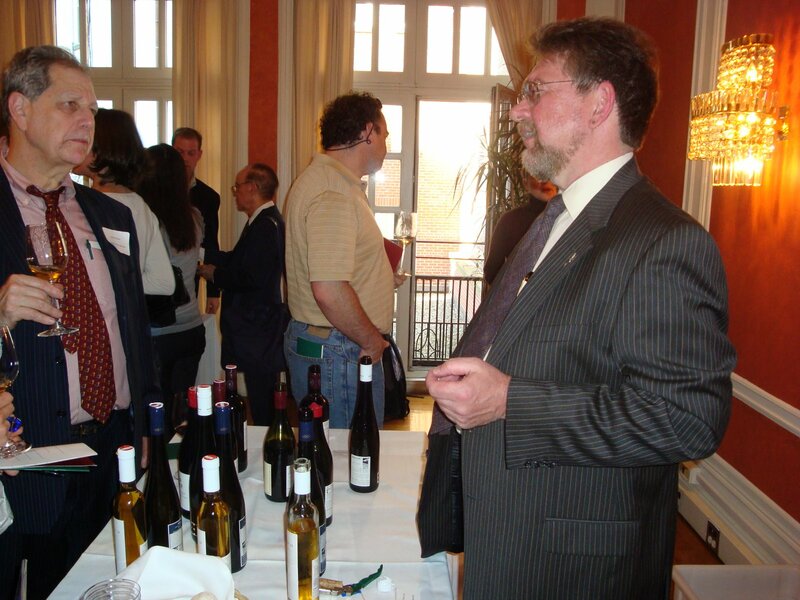 The Austrian Trade Commission and the Austrian Wine Marketing Board produced an excellent event. Austrian wine, delicious Austrian hors d’oeuvres, and snappy Jazz music by the Hayes Kavanagh Jazz Sextett. We had a fine time.